The Symphonic Band marks 50th anniversary with concert at Sam Barlow High School. 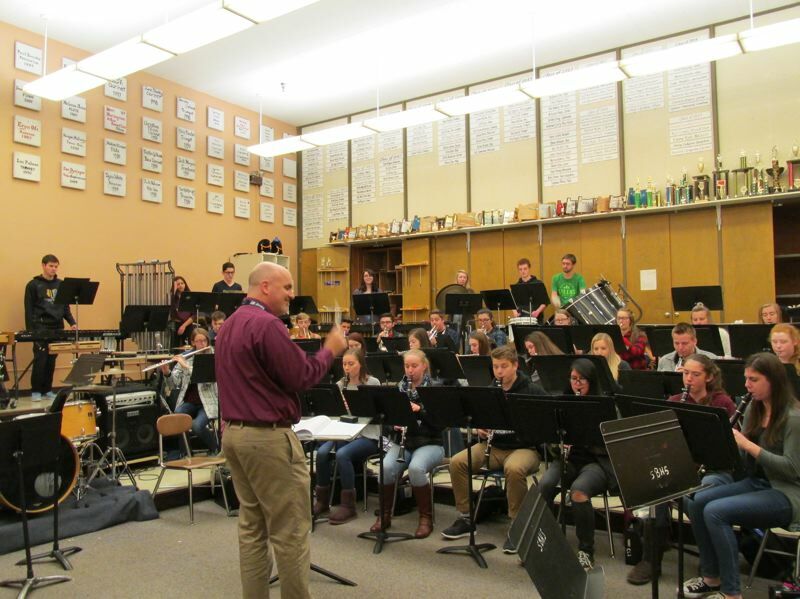 It's not often a high school music group gets to play an original composition created just for it, but to celebrate the 50th anniversary of the Barlow High School band, the school's Symphonic Band will play a specially commissioned piece. The students "have been excited about it for a long time," Barlow band director Paul Nickolas told The Outlook. Sydney Harms, a 17-year-old senior who plays the clarinet said playing a new piece is a challenge. "There are no recordings to listen to," she said. "It's difficult to understand what he (the composer) was going for in some places." Harms, who has been playing the clarinet for seven years, said "we have to start from scratch." The project started about four years ago when Barlow music teachers "wanted to do something special" to mark the school's five decades of music. Nickolas, who has been at Barlow for 19 years, commissioned Oregon composer Kevin Walczyk to create a special piece of music just for the occasion. Walczyk, who teaches at Western Oregon University, has been nominated for a Pulitzer Prize in music composition and has won multiple music awards, prizes and grants. Nickolas was familiar with Walczyk and his work from bumping into him at conferences and music events. Nickolas and former band director Charles Bolton met with Walczyk and talked about Barlow and "what is special about our school, what is unique about our school." 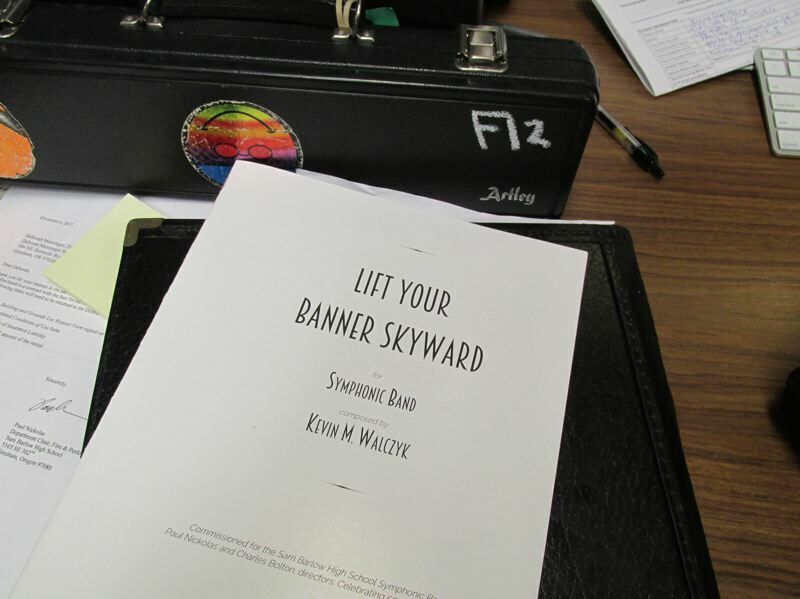 The resulting 5 minute, 30 second composition is called "Lift Your Banner Skyward." The piece draws inspiration from and musically refers to Barlow's traditional school anthem. "He drew a lot of material from that," Nickolas said. "The piece pays homage to our school and our school's history." Nickolas received the piece about a month ago. With that short rehearsal time, his students have been working hard to master the work. Harms is looking forward to meeting the composer and having him discuss the composition and give the band some pointers. The Barlow band has strong community support and was able to pay for the commission from four sources, Nickolas said. 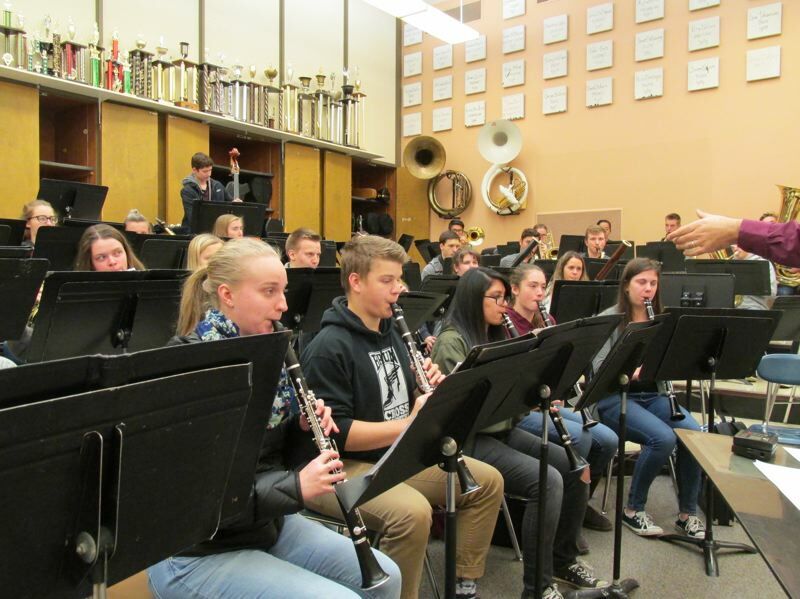 Funds were provided by the Gresham-Barlow School District, the band's regular budget, the band parent organization and by a fundraising effort among band alumni headed by Bolton. "The alumni support has been overwhelming," Nickolas said. Barlow has a robust music program. More than 200 students are enrolled in Barlow High School's award-winning bands. The special composition is "a nice nod to our present, future and past," Nickolas said. WHAT: The 50th anniversary concert. WHEN: 7:30 p.m. Thursday, Dec. 14. WHERE: Barlow High School is at 5105 S.E. 302nd Ave.
INFO: Call 503-258-4850 or visit barlowband.com.